Being a Man in the High Castle fan, with the announcement of the upcoming Season 3 announced for October 5th, 2018, I've been reading news and information about the series. 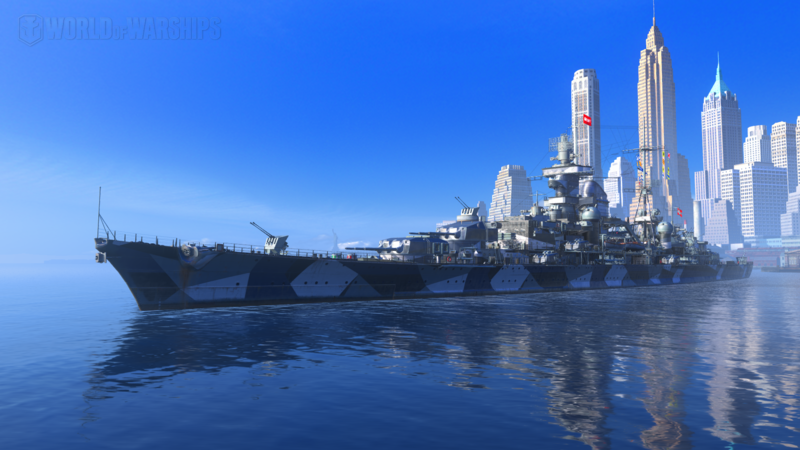 Then I log into WoWs and was last on my Hindenburg, and in the NYC port... and just thought for a moment. And then resolved: Thank GOD the Allies won the war! Man in the High Castle is a great creative dystopian alternate history series. What do you think of it? Is anyone else a fan? Phillip K. [edited] was not only a good sci-fi writer, he is considered in certain quarters to be a bit of a political prophet. Not a view I share. read the book eons ago and don't have access to the series unless i use my son's Netflix account! EDIT: WTH, when a forum reduces a family name with an edit in the interest of political correctness. that is bit much. That is pure censorship, WG. Get real! Something far more sinister would be if Germany hadn't turned on the USSR and continued cooperating with them. Eventually, the USSR would have turned on Japan, and Germany would have either defeated or neutralized Great Britain. Then it would have been the USA and Japan against the rest of the world. The WWII simply lasted a bit longer, and Hindenburg was captured with Prinz Eugen to be inspected at New York before departing for Operation Crossroad!